Will the Mayor take legal action against Volkswagen? Caroline Russell questioned the Mayor today over what actions he would take against the cheating car manufacturers. Using figures from Kings College to calculate a likely public health cost to London directly from VW’s deception over emissions test of £133 million a year, Caroline called the £1.1 million so far achieved in compensation from the UK Government ‘utterly pathetic’ in comparison to more than £12 billion secured by the United States government. 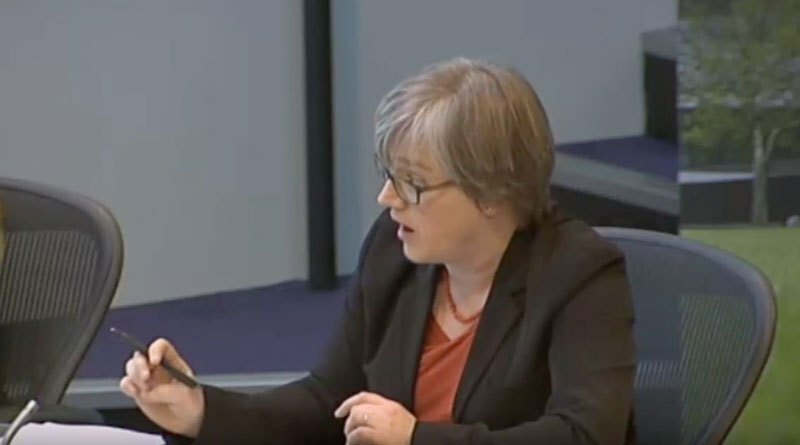 In response, the Mayor acknowledged the public health cost from the VW emissions scandal and praised Caroline Russell as ‘right to raise’ the issue. The Mayor said ‘we are not outraged enough’ over the ‘paltry’ compensation secured by the Government over the emissions scandal, and the Government’s apparent lack of action. “Under my questioning the Mayor laid out how angry he is at VW for cheating Londoners and the Government over their lack of action. “I set out the likely costs in terms of public health and the Mayor recognised this and did not deny he is considering legal action to recover more than just lost congestion charges for Londoners. If he did this I would cheer him on.